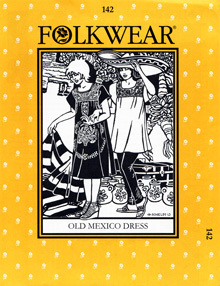 The 16th-century Spanish colonial style has survived through the centuries in central and northern Mexico as a blouse. It later enjoyed immense popularity in the U.S. as a dress-length favorite in the mid-to-late 20th century. This traditional garment was - and still is - colorful, practical, and comfortable to wear.